The largest city in the Czech Republic is home to more than 3 million people within the city and throughout its metropolitan area. As the Czech capital, Prague is also a central figure in economics, culture and politics for all of Europe and has been since its establishment more than 1,100 years ago. Warm summers find many visitors enjoying the sites on Segway and electric bike tours of Prague, while chilly winters are perfect for Pub Crawl tours and brewery tours. 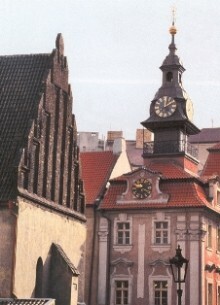 However, the best of Prague is seen on foot. The historic Old Town center of Prague is listed as a UNESCO World Heritage Site and features several famous cultural attractions, including the Charles Bridge, Prague Castle, the Lennon Wall, Old Town Square and the Jewish Quarter. Prague abounds with cultural activities including museums and galleries, and offers additional enjoyment in their fantastic restaurants, wine bars and jazz clubs. Greetings from Prague! I am Lyuba Poleva and I work as a professional private guide in Prague. It is worth noting that I have a specialized license and a huge amount of experience. I have been working in tourism industry since the very fall of the legendary “Iron wall” and the collapse of the Communist Regime in 1989. It was the time when finally tourism in Czech Republic started to emerge. My name is Felix Julio Granda and I am a licensed private guide and driver guide in Prague, where I have been working as a tour guide since 1997. These years of intensive work, have allowed me to gain an extensive experience as a tour guide and in the tourism industry offering tours in Prague and outside of Prague. I offer the service of a private guide in Prague. It is worth noting, that I am a well-read, well-traveled person and it will be my pleasure to answer any question you have in this regard. I organize various guided tours in Prague, which are aimed at introducing the best of what Prague can offer. Welcome to my pages. I am an officially licensed Tour Guide of Prague and the Czech Republic. I am also a holder of a Certificate of Tourism Guide. I was born and raised in the historical center of Prague having constantly learned about this splendid and mysterious place. We had the most wonderful day touring the Jewish quarter of Prague with our fabulous guide, Ljuba Poleva. She was incredibly knowledgeable, made the tour very personal for us, spoke beautifully, and truly was the highlight of our trip in Prague. Two weeks later and I still keep raving about Prague and our fabulous tour of Josefov, and our amazing guide. Our daughter is studying in Europe and we have already told her she needs to visit Prague and we will hire Ljuba for her, as well. I would recommend this tour and Ljuba to everyone coming to Prague.